Today's we're taking part in the Zest Books blog tour for Friends and Frenemies, which hits shelves later this week. Middle school can be a challenging time for many kids. There are many changes (emotionally and physically) that tweens and teens face in grade 5-8. It's also a time period when friendships are important, and sometimes those peer relationships are bumpy. 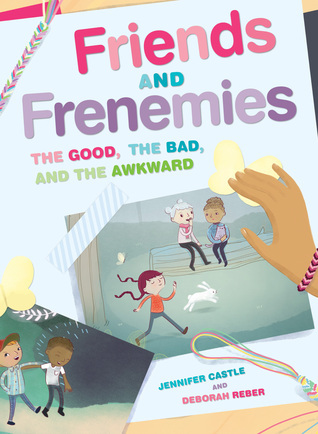 Friend and Frenemies is a new self-improvement book that will help middle grade and teen readers strengthen their friendships and work out conflicts with friends. The book sets a positive tone and begins with examining what makes a good friend. The authors point out that there are different kinds of friendships: close friends, social friends, casual acquaintances, mentors and proteges. Quotes and friendship advice from "mentors" (older teens) and kids are incorporated into each chapter. Readers will find the conversational style, colorful fonts, cartoon-style illustrations, and slim size of the book inviting. Other chapters give tips for making new friends and how to deal with conflicts that may arise. Communication is the theme of the book which also tackles boy/girl friendships and long-distance friendships. Quizzes and scenarios provide tweens with an opportunity to test their knowledge and learn about themselves. 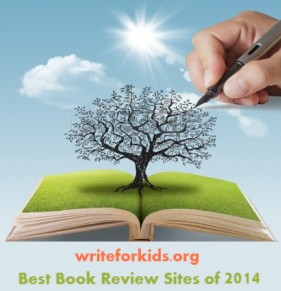 The advice in the book is timeless and may apply to readers of different ages. The authors are careful not to get specific about technology, which can quickly become outdated. For example, the chapter entitled "Gossip and Rumors" does not bring up online behavior or social networking. Instead the authors shed light how why people gossip and what to do if a friend spreads a hurtful rumor. Friends and Frenemies is not a book that libraries will likely purchase because of the interactive features (quizzes and questionnaires), but it would make a timely gift for kids entering middle school. Visit the Zest Books blog to read an interview with the authors. Preview pages from the book here.